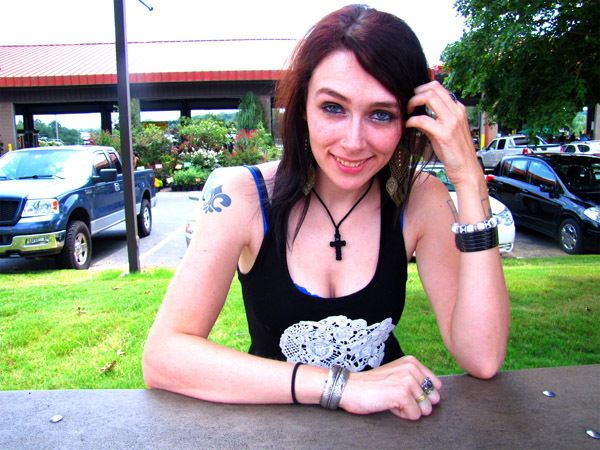 Our Black Orthodox Woven Cross Necklace Featured! 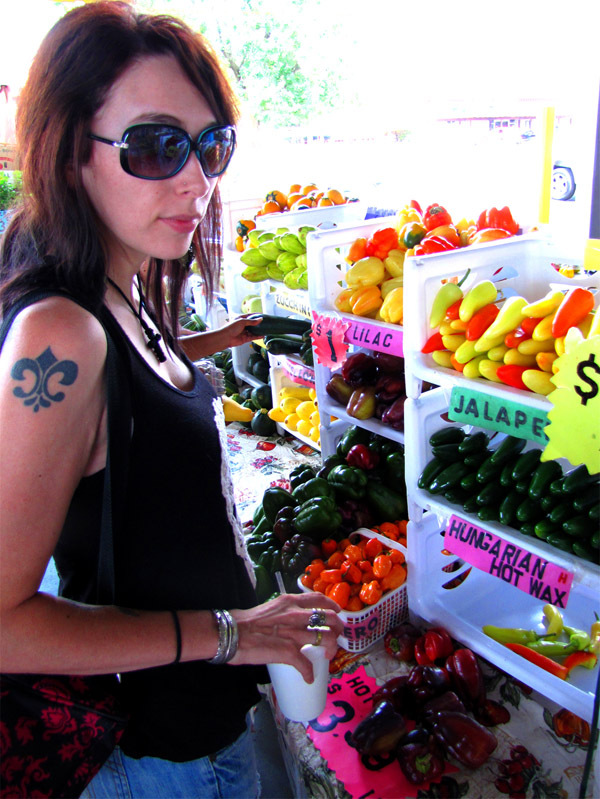 I’m a big advocate for eating local and I often visit the farmers market to support local farmers and to eat the delicious food I find there. 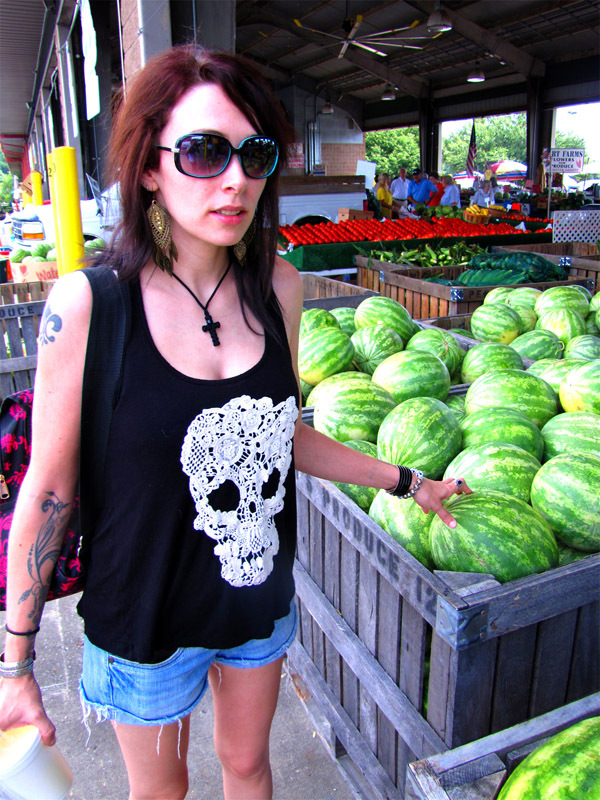 But I absolutely don’t think that a day at the farmers market means that you have to dress like a bum. Actually…there is no occasion I can think of that would require you to dress like bum! Knowing that I wanted some fresh fruits and veggies in my life, I started building a casual cute outfit to fit the mood of the day. It was a bright and sunny day with amazing weather and just little breeze to keep from getting too hot. Shorts were the only appropriate way to go. I am not a huge fan of shorts in general (it’s a personal preference) but I happened to come across this “cut off” pair the other day and fell in love with them! 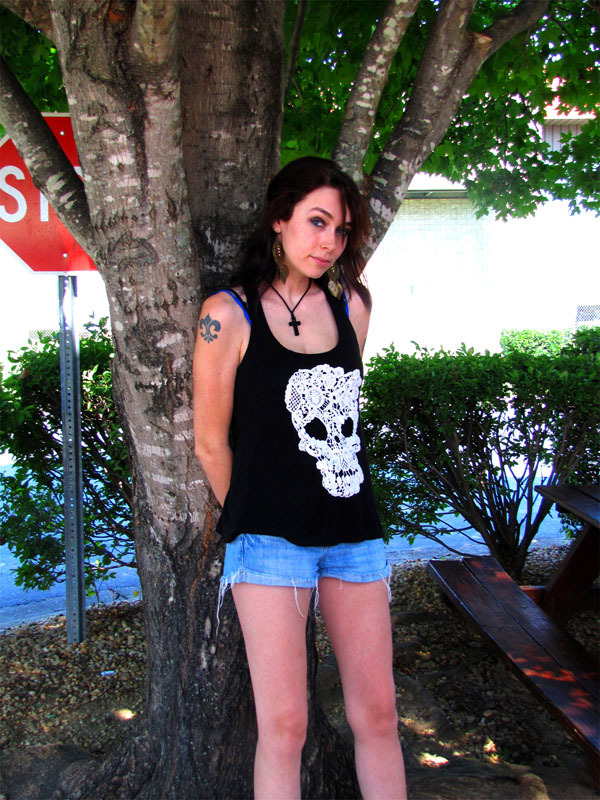 In keeping with the slightly “grunge” nature of the tattered shorts, I paired it with a lace skull tank top. 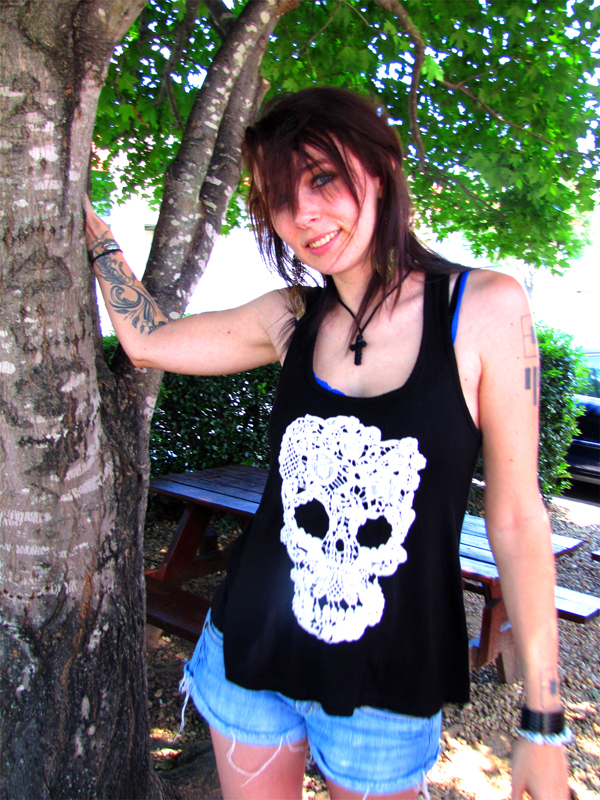 And nothing goes better with skulls than crosses. My 33knots Black Orthodox Woven Orthodox Cross Necklace was the perfect accent to this look. Also it made me feel as thought I was connected to the beauty around me on this perfect day! I slid on my FitFlops, which I prefer to actual flip flops for no particular reason except that I just do, and I was off for a day at the farmers market! It was wonderful walking around and seeing all the colorful fruits and vegetables. There were also some pretty spectacular flowers and plant life. I got a chance to stop by the seafood restaurant that is on site and had some of the best shrimp I’ve ever had. And of course, as with all of my trips to the farmers market, I had to stop and get a cup of fresh squeezed orangeade. That stuff is SO GOOD! This summer for me has been all about the peaking bralette. I think it helps to add a little splash of color to an other wise lifeless and bland outfit. Don’t be afraid to use your undergarments as an accessory to your outfit (where appropriate of course). Allow that cute and colorful bandeau top to show a little bit. Wear a patterned bra with a white or lace shirt. Let it work for you instead of against you. It’s always a fun way to spice up your outfit. And since current styles lend themselves to being slouchy and oversized at times, don’t feel timid about trying something a little daring! It could really be something special. And always remember: when you dress good, you feel good; and when you feel good, you shine from the inside out! The black Orthodox woven cross necklace is available in our store!